Quads to Tris - Be careful with vertex orders! If you ever find yourself trying to construct a triangulated representation of a model with quads, at some point you'll run across the problem of which vertices to link together to form triangles. 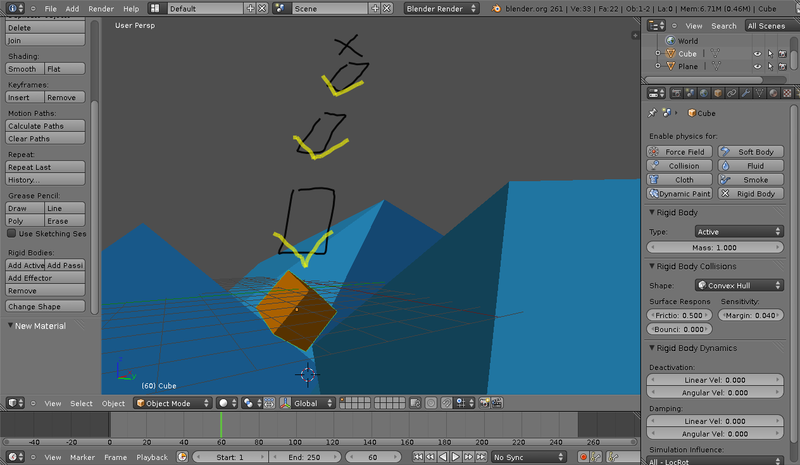 I mention this because Genscher checking out some vertex order bugs the other day with some physics sims (IIRC it was with fluid/cloth). Double-checking what order the rigidbody stuff I've been working on was using, we found that it had basically been doing it wrong! I've since rectified this issue in the branch, though this still doesn't seem to fix the box+plane case where both objects are meshes! 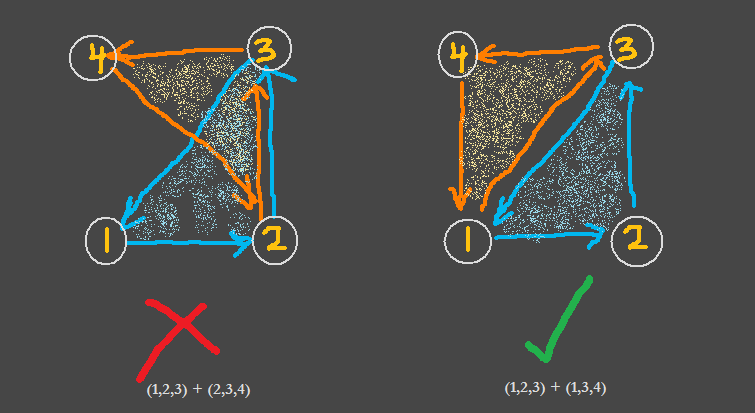 Because Bullet ignores scaling on the actual objects, the scaling needs to be applied to the collision shapes before simulation, and reapplied to the matrices obtained afterwards. There may still be some bugs here, but so far it seems to work OK. This works better to allow complex convex shapes get used as collision targets (i.e. Suzanne falling onto rugged mountainous terrain). However, in tests so far, this has been found to cause a few troubles for flat ground-planes getting missed by targets falling down. Perhaps there's actually just a little bug here. Otherwise, it's over to the community which one would be nicer to have. 1) scuey's patch for "Drag-N-Drop Parenting in the Outliner" is now in trunk! 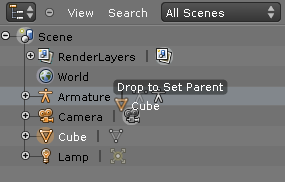 This patch makes it possible to use drag and drop to parent and unparent objects in the Outliner. While I do have some reservations about drag and drop in general, especially since it is often done so badly so often, this patch and the Blender-flavoured implementation of this technique are quite nice. Congrats to scuey for getting his second (?) patch into SVN! 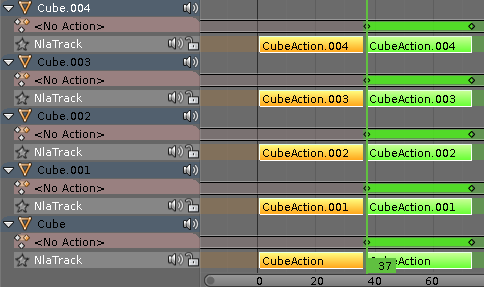 Sometimes it is necessary to be able to enter Tweak Mode on multiple NLA strips (each from a different object) to edit the keyframes of all these objects relative to each other. It is now possible to do this again. Previously it was possible for a while until fixes for a number of bad bugs ended up disabling the accidental functionality. After much pestering from ZanQdo, I've finally spent the morning (and part of last night) hacking the fluid sim to restore the ability to freeze and/or speed up fluid sims (aka the old "Fac-Tim" setting). Just use the "Speed" setting (shown keyframed) to do this. Enjoy! Wow! Tonight the light bulb over the dining table just popped out of its fitting without any provocation beforehand, shattering just beside a loaf of bread on the table, and spreading shards of glass everywhere. Barely minutes earlier, I had just finished having a tasty sandwich (strawberry jam + tasty cheese... mmm...) for a bit of a late night snack (why does everything taste better at this hour? ), and had been sitting there at the table, with the light turned on. Just a quick tip for something that I finally found the answer to after searching fruitlessly for for a while. 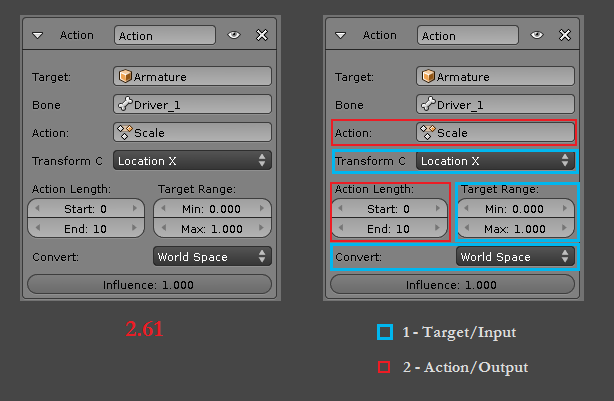 If for whatever reason the arrow buttons aren't behaving - as in, they won't do anything when you click on them normally, but will start zooming off increasingly fast when click+holding them - then you need to set "step_increment" on its "adjustment" object (a value of 1.0 for this serves most purposes well). For all the failings (IMO) of Gtk, at least the "adjustment" object design is an example of one thing that they did right over other toolkits. I like this, since I've found that it makes it ridiculously easy to simply hook up all the various widgets that may be displaying a numerical value so that they update correctly when the others change, all without the need to write many tedious flushing event callbacks. 1) Baking, especially via Alembic support, is a very desirable prospect. 3) Interactions between animated objects and physics sims (and also animating when physics sims work) is an issue that many people care about. 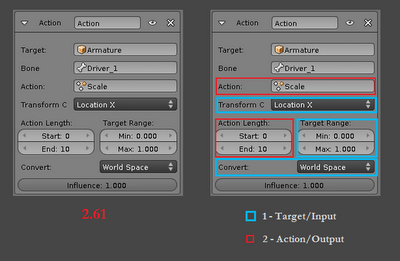 IIRC, there is some support for this already, though your mileage with overriding simulated objects mid-sim may vary. 4) Many are just dying to get their hands on this functionality. Sculpted Blob Test from Joshua Leung on Vimeo. First time I've managed to get it to actually do anything. Apparently I've been trying to use it with meshes that were too low res for it to work! It's been a while since I last posted one of these FAQ's, but there have been a couple of common recurring questions over the past few months which I'll try to help resolve. 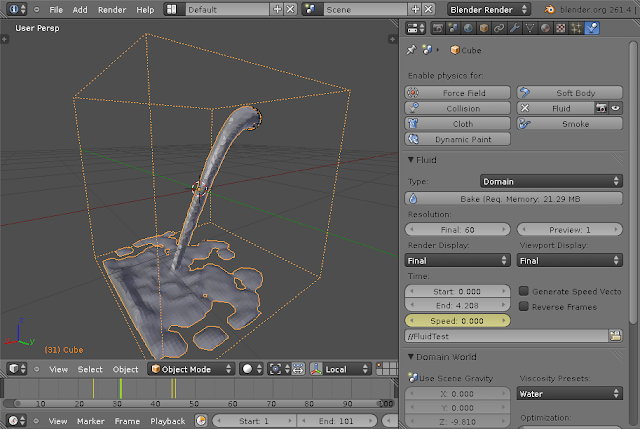 Most of this will be old news to those who've been in and around Blender or reading this blog for a while. Hopefully this will answer some of the newer questions. This morning, I discovered that my beloved silvereyes had built a nest in the lychee-like tree in our garden (a tree they really like eating the berries of in early autumn). Not only are they pretty little birdies, but their nests are also delicate, fine specimens suspended over 2 metres in the air. To get this shot, I was standing on a ladder, and had to patiently stand there for a while to let to get used to seeing me before they'd go anywhere near their nest. 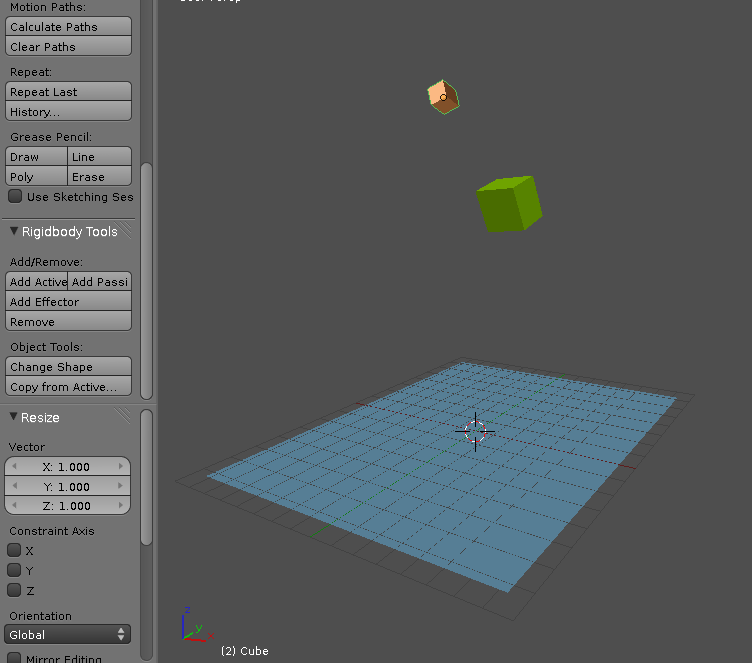 Ability to apply rigid bodies to large arrays of objects. These are often similar in many regards, be it shape or colour, and usually need to have the same settings applied to all. E.g. bricks or blocks making up some structure. Ability to use rigid body constraints to define how things hold together. Stability and integration usability polish. This includes all kinds of book-keeping things such as ensuring that copying, deleting, and changing associations all work without any crashes or weird behaviour. After setting up a local Git repository to work on another Blender-related project (hopefully if it gets officially greenlit, I'll have more news to post about this later this month, otherwise, it'll go back to my pool of "ideas to work on later"), the ease of setting up the setup prompted me to get curious about trying to reboot an old favourite from the dead of unmergable SVN branches. This year, the fireworks display for New Year was in Hagley Park, the first time in over a decade. This meant one thing: fireworks visible from our yard (without having to contend with drunks ready to smash your windows at any moment in time). Well, the clock didn't just tick midnight now.. that was over 24 hours ago now. But, nevertheless, Happy New Year to everyone! Let's hope that 2012 turns out to be a brilliant year (albeit quieter on the seismic front here in Christchurch please, if you will mother earth :) ... erm... speak of the devil... a sizeable wobbly jolt struck just moments after I finished typing that last sentence. Drat!